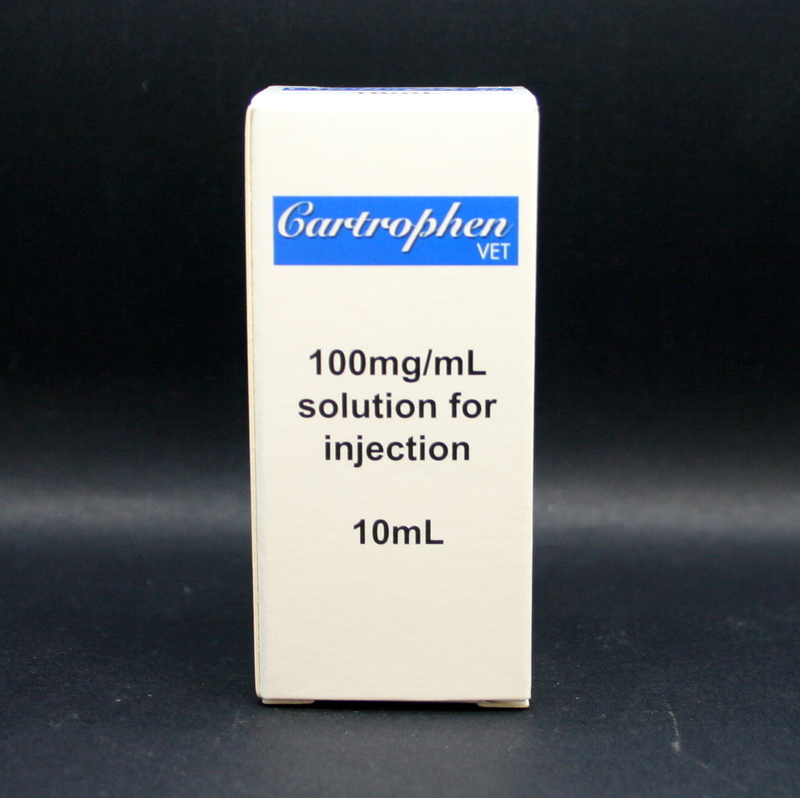 Cartrophen Vet is an injectable solution used to treat degenerative joint disease or arthritis. 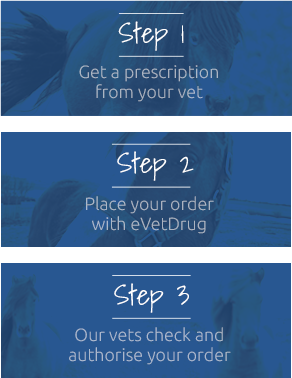 Cartrophen Vet is used to treat degenerative joint disease or arthritis. It provides relief from pain, stiffness and lameness and has been found to be as effective as non-steroidal anti-inflammatory drugs (NSAIDs). An initial treatment course of 4 injections given at 5-7 day intervals is recommended. The beneficial effects are normally noticed after the second or third injection. The improvement noted is often maintained for a few months after the fourth injection. If some deterioration is noted, the course can be repeated. In order to maintain the beneficial effects, a single injection once monthly may be necessary after the initial course. 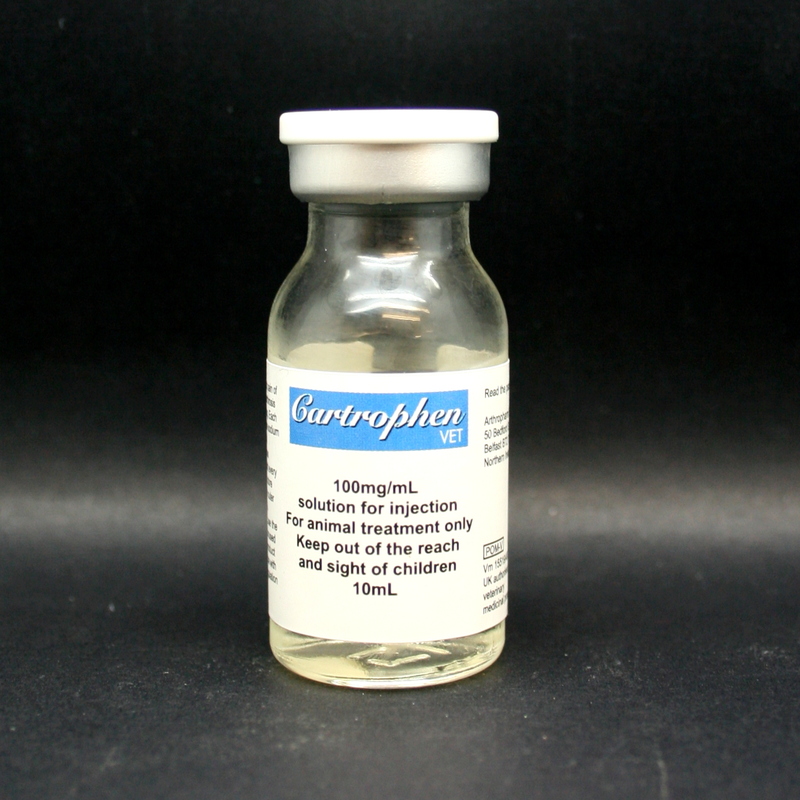 Cartrophen Vet contains Pentosan Polysulphate Sodium, a semi-synthetic polymer. It has anti-inflammatory properties which are particularly effective on the cartilage within synovial joints. 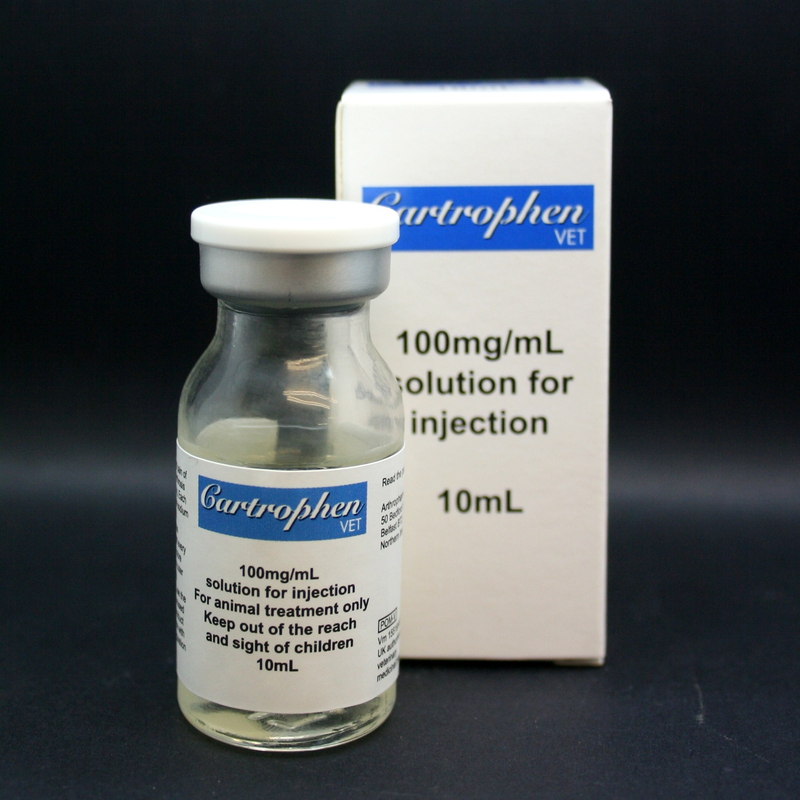 Cartrophen modifies the metabolism of the cartilage & the production of the lubricating synovial fluid (the cushioning fluid found within all joints). Cartrophen influences the underlying disease processes which occur in arthritis, thus reducing pain & helping regenerate damaged joint components. Cartrophen previously had to be kept refrigerated between 2-8oC, however the manufacturers now recommend that it just needs to be stored below 25oC. Warnings & Contraindications- Do not administer at the same time as giving NSAIDs (ask your vet or call our helpline if you are unsure).